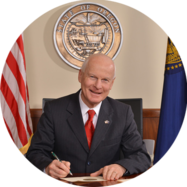 SALEM, OR — Secretary of State Dennis Richardson released the Municipal Summary Report for fiscal year 2017 today, summarizing the financial reporting of Oregon’s municipalities and their compliance with Municipal Audit Law. The Secretary of State administers Municipal Audit Law (ORS 297.405-.555 and .990) with the purpose of enforcing and elevating transparency to hold Oregon municipalities accountable to their citizenry. The Municipal Summary Report is prescribed in statute and includes information about the timeliness of reports filed, deficiencies noted in audits, and whether auditor communications about deficiencies and the municipality’s plan of action to address those deficiencies were filed as required. Municipal corporations include counties, cities, school districts, and special districts. Municipal Audit Law requires all Oregon municipal corporations to submit an annual financial report to the Secretary of State. For fiscal year 2017, 1,159 municipal corporations were required to file an audit with the Secretary of State by December 31, 2017, unless they requested an extension. Nineteen municipalities did not file the required annual audit with the Secretary of State and are more than one year delinquent. 19 municipalities have not yet filed and are now more than one year delinquent. Audits of municipal corporations are performed by municipal auditors licensed by the Oregon Board of Accountancy. Overall, we found compliance with Municipal Audit Law is improving as familiarity with the changes to the law in 2015 become familiar to municipalities and their auditors. Most local governments receive a “clean” audit report each year without any qualifications or deficiencies. Deficiencies may be reported for weaknesses in internal controls; accounting errors and misstatements; or non-compliance with rules, regulations, or grant requirements. Professional standards require an auditor to communicate the more serious deficiencies, in writing, to the municipal corporation’s governing body and file a copy with the Secretary of State. Further, the municipality is required to adopt a plan of action and timeframe for addressing deficiencies. The plan must be filed with the Secretary of State within 30 days of filing the audit report.